It has long since been in the public domain that AOL would be coming through with an RSS reading app to help soften the blow of Google Reader having been dropped by the search giant, and today, a beta has officially been released by the Broadway-based outfit. Entering this already crowded market is going to be a difficult sell, particularly with Facebook also reportedly lurking with an aggregation app of its own, and it will certainly be interesting to see whether AOL is in with a shout of competing with the many other feeder apps knocking about. Feedly, for example, has really grown in the light of Google Reader’s closure, and with Digg also joining the fray with its soon-to-be-arriving freemium effort, it’s fair to say that AOL is up against it. But with the beta now out there and ready for the public’s consumption, can AOL make a significant mark? The design of the app is very much in line with AOL’s Alto email client, which isn’t necessarily a bad thing. All visual aspects have been kept nice and minimal, helping you concentrate on the content in a no-frills, yet still endearing fashion. There’s a convenient pane featuring the ten hottest unread news stories, and with a quick glance at the navigation bar, you can check all of your links to AOL’s very own Web search and AOL Mail. 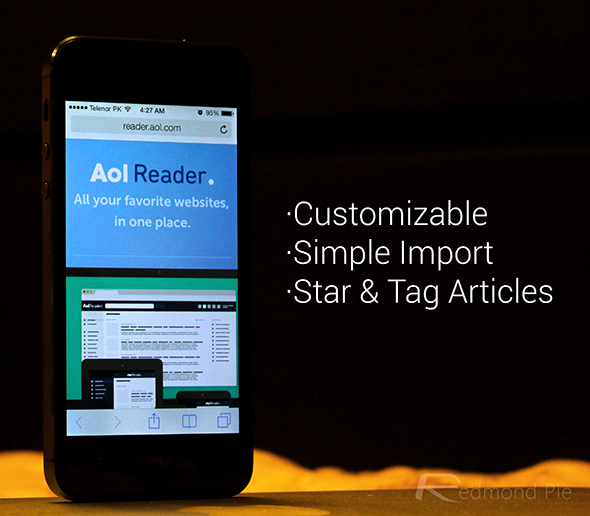 At this point, AOL Reader is just a Web app, although having checked it out briefly on a number of devices, it does adapt fairly nicely whether you’re operating a tablet or smartphone. Dedicated apps are said to be in the pipeline, but irrespective of your platform or device, you should have no problem enjoying what is still a beta service. It’s not currently as nippy as Feedly, and does have its fair share of nagging issues, but this is to be expected of a beta. Interestingly enough, it has also emerged that Facebook could be planning a similar service, although if today’s report over at the Wall Street Journal is to be believed, it will attempt to tap into the corner of the market operated by the likes of Flipboard as opposed to your out-and-out RSS services. 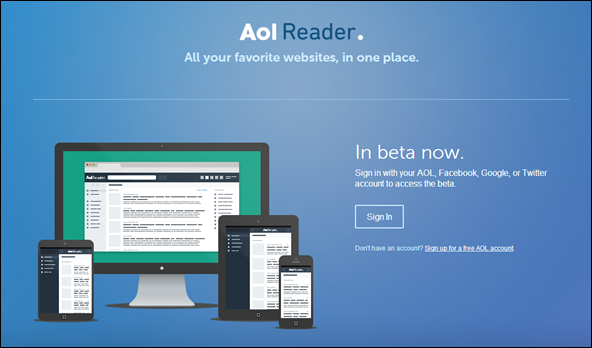 Sign up for the beta service right now by heading to reader.aol.com, and be sure to leave your thoughts below.